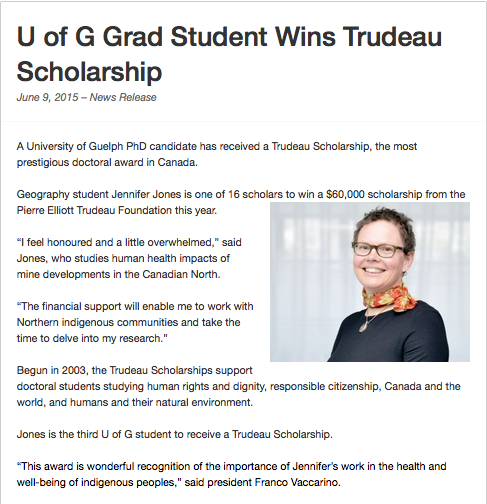 Honoured to be awarded a Trudeau Scholarship and work with an amazing group of individuals. Click here to read the press release from the University of Guelph, and click here to visit the Trudeau Foundation webpage. This entry was posted in Uncategorized and tagged graduate student, impact assessment, Trudeau Foundation by admin. Bookmark the permalink.